I started the 10 things Kids Love series last year in hopes to have a great resource here for my readers (and others) to be able to find lots of ideas on any one kid related topic I could come up with. I have gotten into a rut of doing them on holiday’s being they have just been coming one right after the next since Halloween. I do enjoy the holiday post and will continue them. However, I wanted more variety than I felt I could get out to you all on my own. 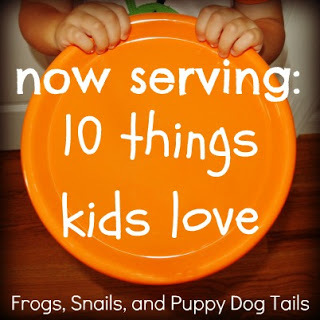 I decided to reach out to other creative moms to have them share some wonderful 10 Things Kids Love guest post with all of us. 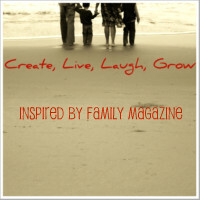 I am so excited to have Mari of Inspired By Family Magazine here as our first guest post in the 10 Things Kids Love Series. I think her topic choice is excellent and how you all are inspired by it. I know I was and look forward to trying this out with my kids. 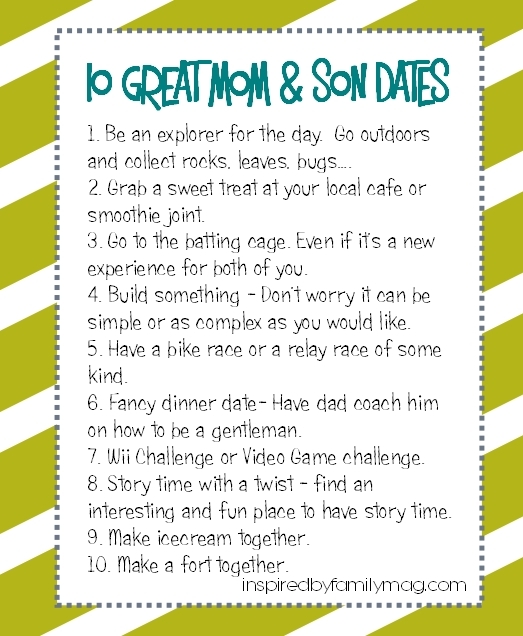 For some years now we have been doing mom and son dates with my boys but it has always been sporadic and whenever I can manage to remember. This year we decided to put it on the calendar just like I do with date nights with the hubby. 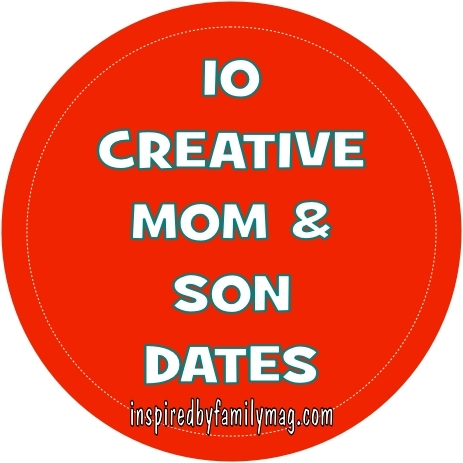 We started scheduling our mom and son dates in January and we have been successful at doing them twice a month. I have three boys and each one is a ray of sunshine in my life in their own unique little way. Our date nights is solid time carved out for me to bask in that sun. It’s a time for me to not just be present but to be all there for just them. Each time we go out I learn something interesting about them because I have solid time to cherish their smiles, the humor, their personalities, their likes and dislikes, their competitiveness … I hope these ideas inspire you to bask in your little ray of sunshine! My boys favorites are: relay races with mom (I think they just like beating me), grabbing a sweet treat and story time with a twist. I used to do the batting cage hangout time with my brothers for some sibling bonding time. It wasn’t my thing but it was fun. Stop by our website for our Family Fun Date Nights, Date Night ideas with your spouse, and Mom and Daughter Girls Night Ideas. Mari Hernandez-Tuten wears many hats throughout her day: mom, wife, friend, counselor, missionary, and founding editor of, Inspired by Family. Stop by our space it’s filled with creativity, laughter, celebrations, encouragement and good eating that we hope spills over into your home. So have a seat, grab a cup of Cafe con Leche, and let’s get inspired! If you are not already following Mari, stop over to check her out through one of these links. this is so adorable! I will share this list with my preschool families! These are such sweet ideas! I love going to get a smoothie with my son. Especially now that he has a baby brother, he really enjoys the special attention, plus it gets us out of the house and away from chores. Can’t wait to try these other ideas as well!